Highvac Corporation’s core values play an integral part in our culture and drive the decisions and actions made by our employees. They define our beliefs and are the foundation on which we base our business practices. Highvac Corporation is committed to providing the highest standards of quality, safety, and reliability in its products and services with a constant focus on cost containment, cycle time, and quality. We work as a team to exceed expectations through continued education of both ourselves and our customers, while forging partnerships with our customers to provide quality solutions. 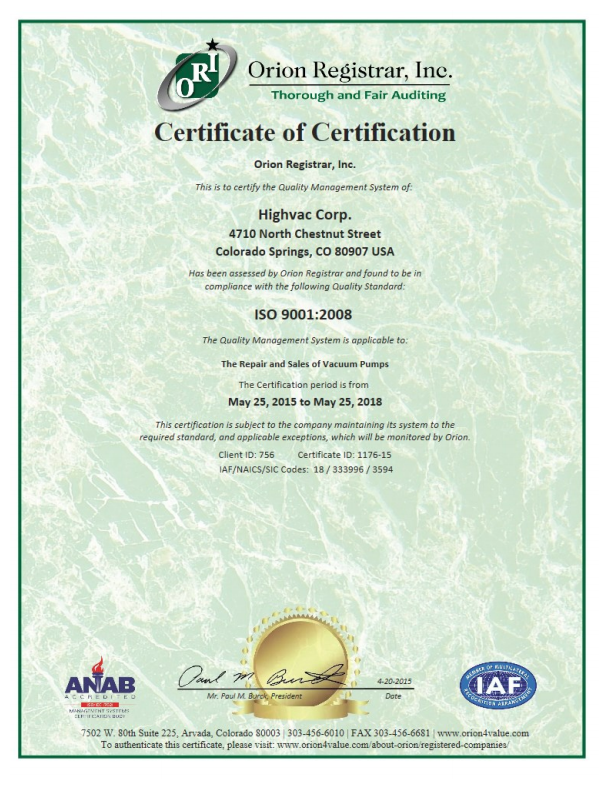 Highvac is ISO 9001 certified.